The trestle in the centre supports the drive-rods which go to the four clock faces. The white glass face on the South wall, is illuminated at night and can be seen on the middle right of the picture. 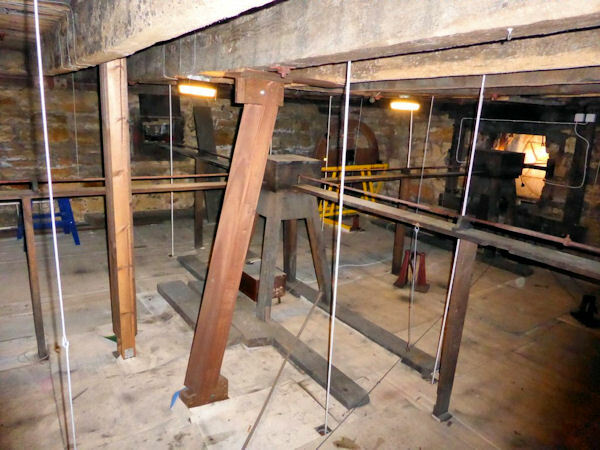 The bell-ropes can be seen running between the floors.